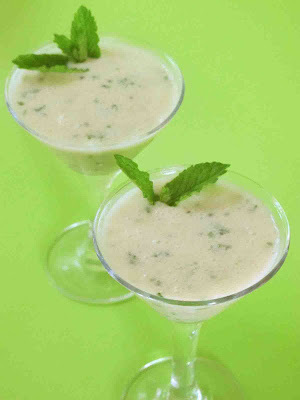 Shoot and Eat: Yoghurt Drink with Lime, Elderflower, Kiwifruit and Mint. Yoghurt Drink with Lime, Elderflower, Kiwifruit and Mint. As the festive season of over indulging approaches I start to crave really light and healthy treats. Here's a refreshing yoghurt drink I whizzed up this morning with some Barker's Squeezed New Zealand Limes with Elderflower syrup, a kiwifruit and some mint. So good for breakfast . I've been making a habit of diluting some of this fruit syrup ( 1 part syrup to 6 parts of water) and freezing it in ice block trays so it is instantly ready for making drinks like this or their lime and elderberry ice. If you would like to sweeten it more add another small splash of the syrup. Decorate with a sprig of mint and serve while icy cold. Sri Lankan Curd and Treacle. Little Monster foraging in the Folktree forest. Little Monsters March to the Clevedon Market.